Wednesday was my birthday and my day off this week so we decided to have a play date! 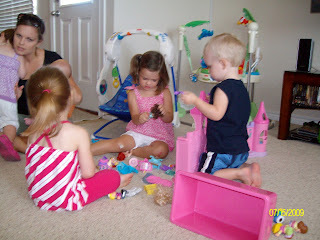 Megan was in town and Emily and May play so good together so we wanted to get in a play date while they were here. Katie and Brooks came over also so it was tons of fun. 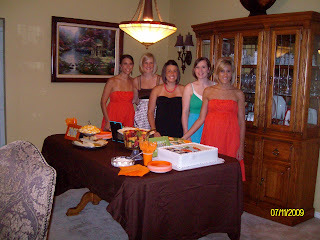 Thanks for making my birthday special! 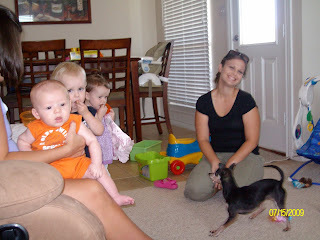 :) Later that night Mayson had a "birthday party" for mommy. She brought me into her room because she was throwing me a birthday party...when I went in she had all of her my little ponies set up and her baby dolls and they "all" sang Happy Birthday to me. Then she made me blow out the candles on my pretend birthday cake. 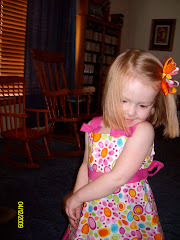 Next we opened up presents which were her backpacks filled with her toys. It was so cute, she is such a precious girl! We love her so much!!!! 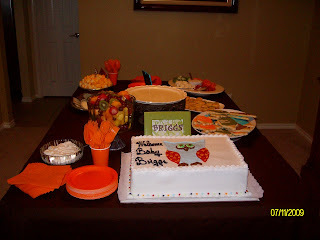 We had Katie's Baby shower for Briggs last Saturday and it was so much fun. We can't wait to meet Baby Briggs! 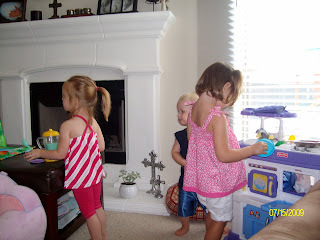 We had so much fun at your house. Mayson cracks me up, I could spend the whole day listening to her. 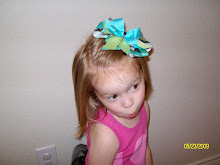 Thanks again for the bows they worked great. Love ya and see you at the reunion.